We are so excited to announce that Stuart Contracting has broken ground on our building expansion in Summerdale, Alabama, and the construction process is now almost complete! Following 2 years of planning and collaboration with designers and local leaders, this community project, “Restoring Hope, Rebuilding Lives,” is now coming to fruition. The new expansion is adding over 3,000 square feet of office space to the Baldwin County CAC’s current building and includes new offices for Multidisciplinary TEAM members, new forensic interview and observation rooms, a family session room, a multipurpose training room, and more. The soaring population growth in Baldwin County has prompted the need for more space. The CAC provided direct intervention services to 432 children last calendar year, and the numbers are expected to increase gradually as more families are moving to the county every day. This much needed expansion is close to completion due to the generosity of many individuals, community groups, local companies, and foundations. to the Mitchell Family and Stuart Contracting, Allen and Nathan Cox and the Cox Family Foundation, Jeff Hudson of HRG Design Build, Impact 100 Baldwin County, Erie Hall Meyer Charitable Trust, Snook Foundation, Craft Family Foundation, Glaze Foundation, Mapp Foundation, Mobile Energy, Wade Stewart of Stewart Engineering and Construction, Russell Barton of Barton and Shumer Engineering, Baldwin County Home Builders Association, Truland Homes, Coastal Stone and Cabinetry, Riley Stuart, Ford Lumber, Hutchison, Moore, and Rauch, LLC, Ferguson, Delta Industries, Quality Framing, Modern Homes, Perdue Concrete, Hill Brothers, Superior Insulation, Ridgeline Roofing, Bluewater Lumber, Rowe Plumbing, Boeschen’s A/C, Hellmich Electric, DR Horton, Sherwin Williams, Sunny 105.7, and all of the incredible people who have so kindly donated time, talent, and to this important community improvement project. need help with one more part of this project! We need to FURNISH the new space! 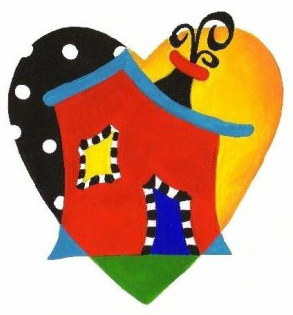 ​​If you would like to learn more about how you can help change a child's life by donating furnishings or funding, click on the link below, call 251-989-2555, or email carehouse@bellsouth.net.